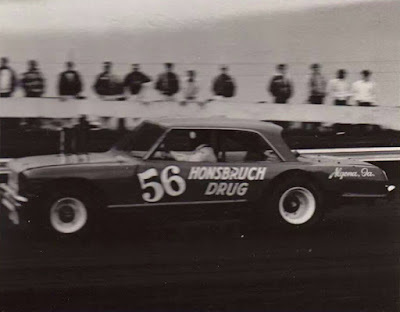 Boone, Iowa (July 22, 1972) - Gene Schattschneider, Algona, used hard driving and some luck Saturday night to win the Boone Speedway super late model feature. He captured the feature by less than half a car length over Denny Hovinga of Laurens, the current point leader at the track. Hovinga held the lead on the last lap, but in the final two turns he slowed just enough for Schattschneider to get by just as they crossed the finish line. Hovinga said after the race a tire had gone flat on the last lap, dropping him back to second place. Schattschneider had taken the lead early in the race from Arlo Dorenbush, Boone; who held the lead at the end of the first lap. Schattschneider shifted from his high groove to go low and take the lead away from the Boone driver. Hovinga, who started alongside Schattschneider, worked his way up to sit right on the Flying Dutchman’s bumper. He tried to take Schattschneider on the outside, finally going into the lead on the front straightaway. Schattschneider took the lead right back, but Hovinga again went low to regain the lead and held it until just before the checkered flag fell. This was Schattschneider’s second feature win of the season. 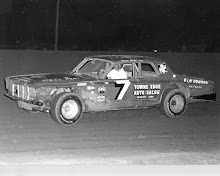 He started the night by setting the fast time of 18.09 seconds, with Arnie Braland, Boone, second with a time of 18.10 seconds. Then trouble set in for Schattschneider. Running third in the last lap of the trophy dash, he lost a wheel in the fourth turn and spun out. In the heat race he was unable to get around the slower cars and finished fifth, one place out of qualifying for the feature. He made that up in short order in the B-Feature. 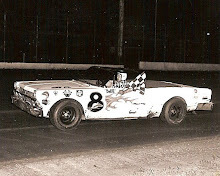 Starting at the back of the eight-car field, he charged into first place in the first turn of the second lap and led the rest of the way. Hovinga made the trophy dash a close contest as he took the low route around Greg Davis, Boone, on the last lap for the win. It was his second trophy win of the year. The super late model trophy dash eliminated two cars for the night. Wayne Meyer, Algona, took the first lead, only to have his steering break in turn one. He held the car the rest of the way: through turns one and two, but it went out of control on the backstretch and spun out in turn three. Braland slammed into him and both cars were damaged. 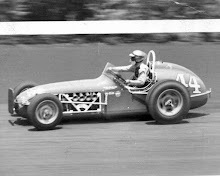 The Boone driver tried several times to get back in the action in later races; but each time had to go back to the pits. In the second heat, Del McDowall, Ames, had another streak of bad luck. Running a 350-cubic inch Chevy engine, he was running close to Davis when the harmonic balancer on the front of the crankshaft flew off, smashing the radiator. In addition, the engine revved up too high when the balancer flew off and wiped it out. 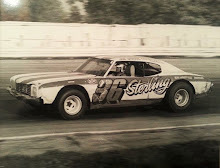 “At least I have a day to change it (the engine before Boone Speedway’s Grand Nationals which start tonight),” was McDowall’s comment. Judging from his comments, he planned to go back to a 327-cubic inch engine he has used earlier in the season.